View More In HDD Cooling Fans. The ixa-afk is an additional fan kit to add another fan to your ixa-ccs cabinet cooling system. Comes with an additional fan the fan frame housing and the needed hardware to mount the fan simply plug the fan into the five channel fan controller on the ixa-ccs unit. The ixa-ccs supports up to five fans you can purchase up to three additional ixa-afk units to complete your system. Requires a cabinet with a thickness of2.5 in. Of clearance behind the cabinet for the fan and fan frame to be installed. The only other tools required is a saw to punch out a 5.0 in. Diameter opening or 5.0 x 5.0 in. Square opening to mount the fan frame and a 2 Phillips screwdriver. Works only in conjunction with the ixa-ccs cabinet cooling system.Specification. Fan frame dimensions - 178 x 178 x 41 mm.. Fan dimensions - 120 x 120 x 38 mm.. Fan power cable length - 1500 mm.. Rated DBA - 6-24.. RPM - 600-1500.. CFM - 36-104.. Operating voltage - 6-12V. Fan frame dimensions - 178 x 178 x 41 mm. 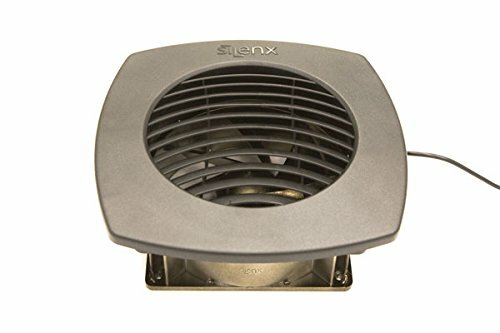 Fan dimensions - 120 x 120 x 38 mm. Fan power cable length - 1500 mm. If you have any questions about this product by SilenX, contact us by completing and submitting the form below. If you are looking for a specif part number, please include it with your message.